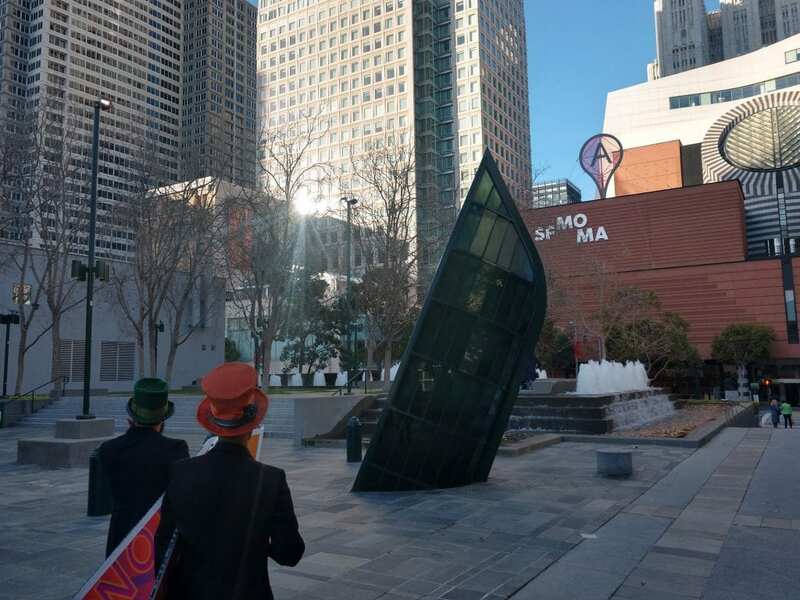 San Francisco, CA – When you see Street Performers, Sign Spinners, and the Circus posted around the same city block, you’ve got to stop and ask yourself, “what is going on and where is it?” And that’s the exact reaction AArrow Sign Spinners were getting on Saturday night when directing attendees to the Yerba Buena Art Center’s Not A Gala fundraising event. AArrow Sign Spinners were one of many talents during the evening’s performance also featuring flow artists, costumed dancers, contortionists, circus performers, and many other live music performances! 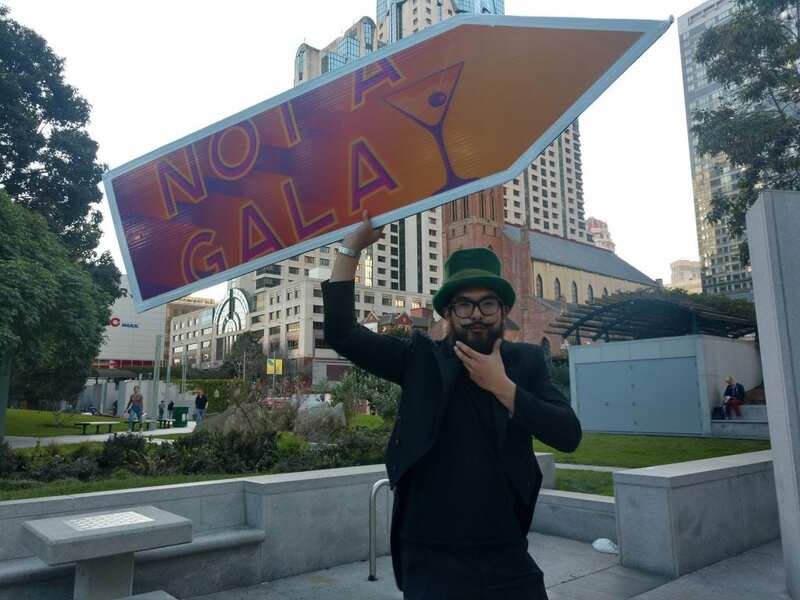 Sign Spinners were be positioned outside the event with other acts directing some of California’s most influential guest list to the big event. This was an unforgettable event and sign spinners got to lead the way! 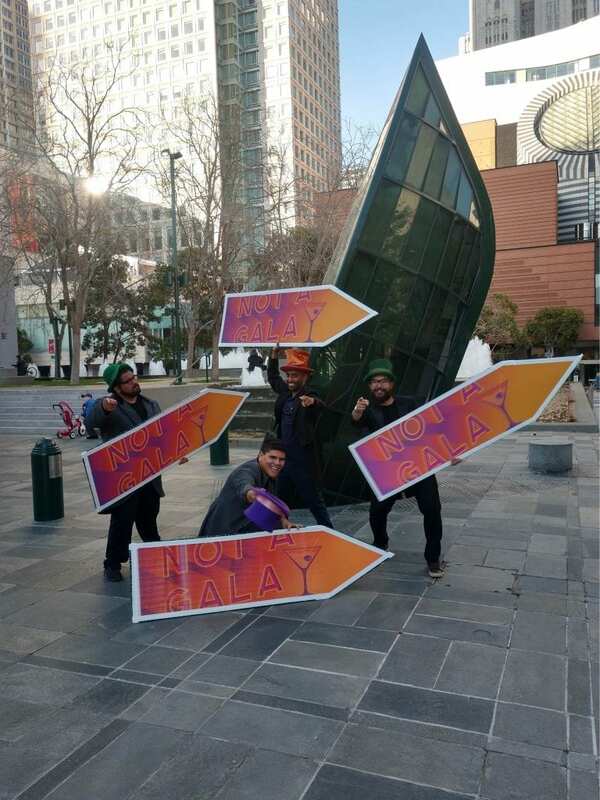 PreviousPrevious post:Danny Partida – March’s Sign Spinner of the Month!NextNext post:Is Sign Spinning Art? Yumi Janairo Roth Says Yes!